I love lipstick. And blush, too. 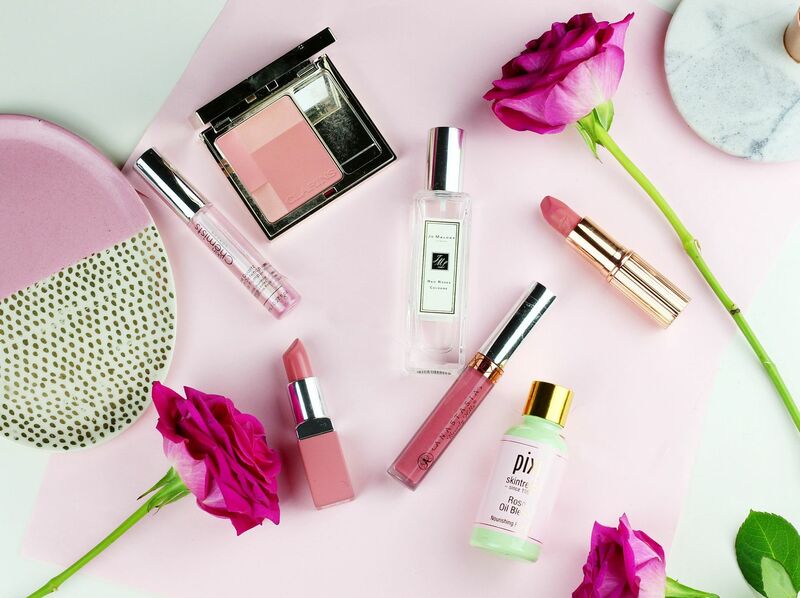 Some of my favourite beauty picks all have something in common – they either smell like rose, or leave me with a soft rose flush on the skin. There’s something so delicate and romantic about rose beauty picks; classically beautiful and something I really enjoy. We need lip options, obviously. Would it really be a post from me if it didn’t come with at least a couple of lipstick choices? I love Charlotte Tilbury Kidman’s Kiss as a light rosy option with a tiny bit of peach in it to brighten the complexion. Plus, rose gold packaging is always a plus in my book. The Clinique Pop matte lip colour in Peony Pop is a really comfortable option for everyday wear – it’s the sort of easy shade that would go with a multitude of makeup looks and will always add a little softness. One of my favourites, the Anastasia Beverly Hills liquid lip in Dusty Rose is one I picked up in NY and it’s so perfect as a deeper rose option. I wore this all day last week without touch ups and it lasted perfectly. The formula is absolutely sensational, and well worth checking out. For the softest and most romantic blush, the Clarins Illuminating Blush in Sweet Rose is the best you can get – a silky soft formula that glides across the cheeks and leaves behind a sculpted flush of colour that just goes so perfectly with all of the aforementioned lipsticks. You know how much I love a good face oil – my obsession has been well-documented. 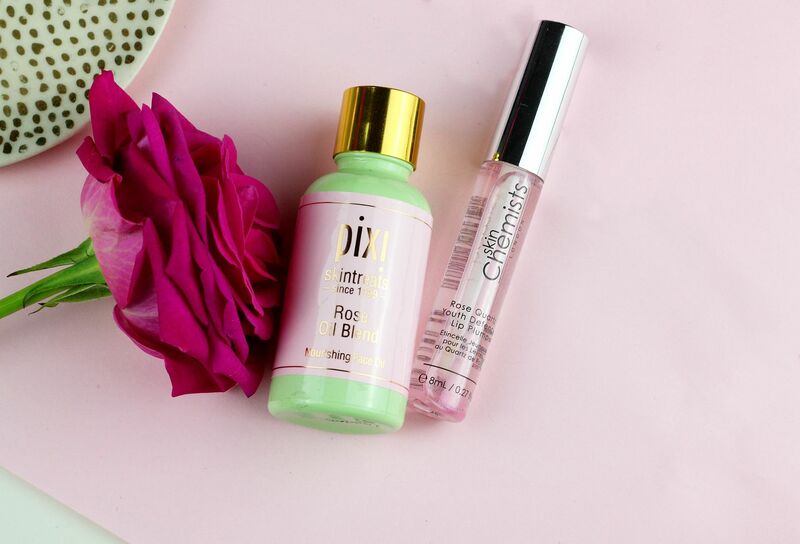 My favourite rose one is the Pixi Rose Oil Blend; just look how adorable the green and pink packaging is! The scent is light and not at all overpowering but it’s the results that I love the most. It’s more like a ‘skin food’ in that it deeply nourishes the skin and is the perfect skin drink for overnight. 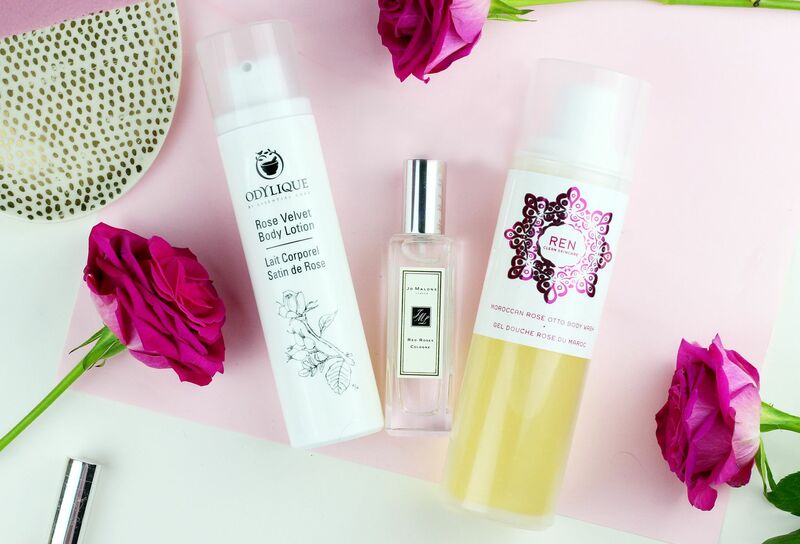 This is particularly heavenly on dry and dehydrated skin types. 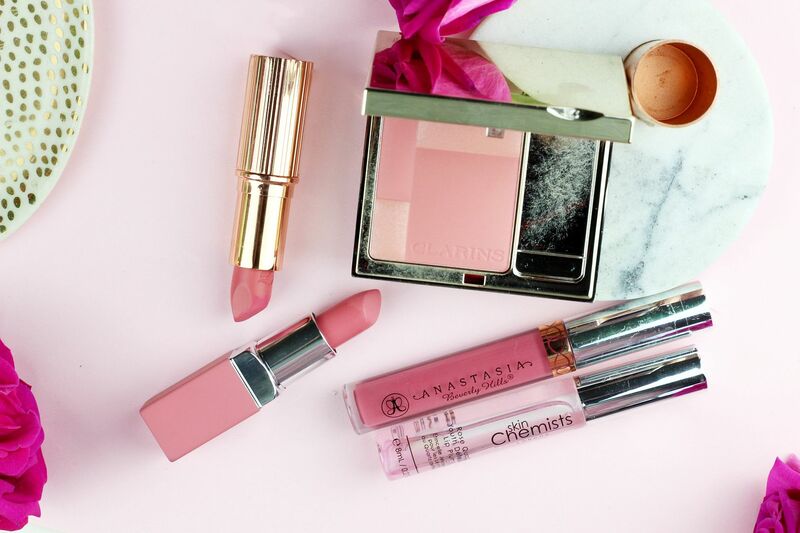 For lips, the SkinChemist Rose Quartz Lip Plump is quite the indulgent treat… it’s more than a lip balm and is more akin to a treatment but with the added bonus of giving lips a nice glossy finish. It ever so slightly plumps the lips, thanks to the peppermint oil, and leaves everything looking smoother.